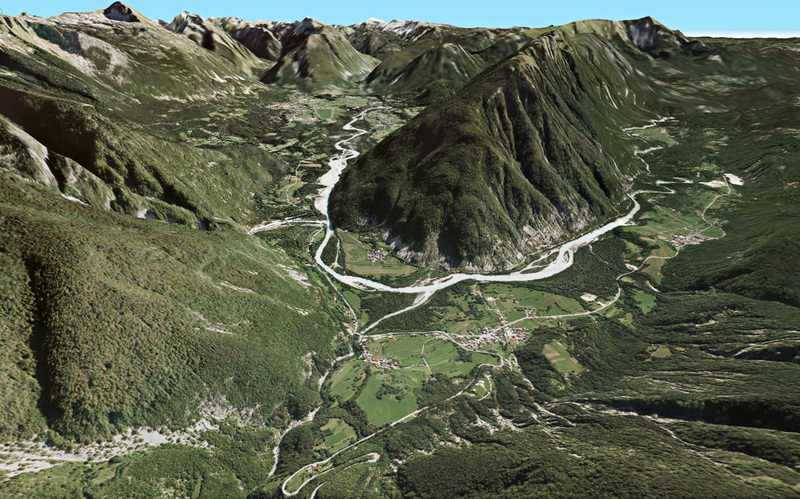 The Sinergise 3D viewer combines aerial photography with a Digital Elevation Model or Digital Terrain Model to produce a user-friendly, interactive 3D viewing experience of your areas of interest. 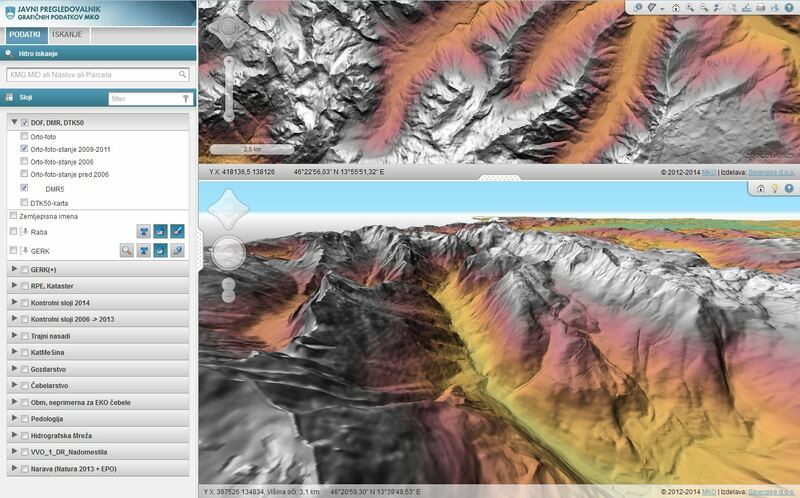 No longer confined to aerial maps, the structure of the underlying terrain can finally be visualized remotely; the Earth is not flat after all. 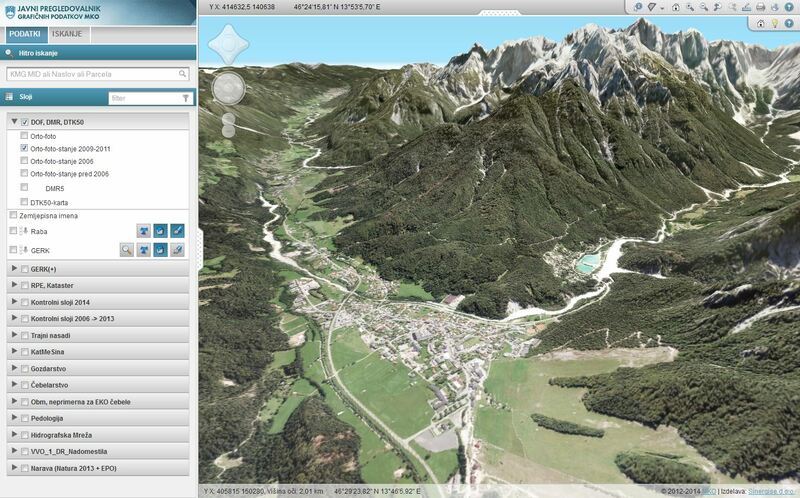 Because the technology is based on WebGL, simplicity and browser integration is assured — no installation is necessary. 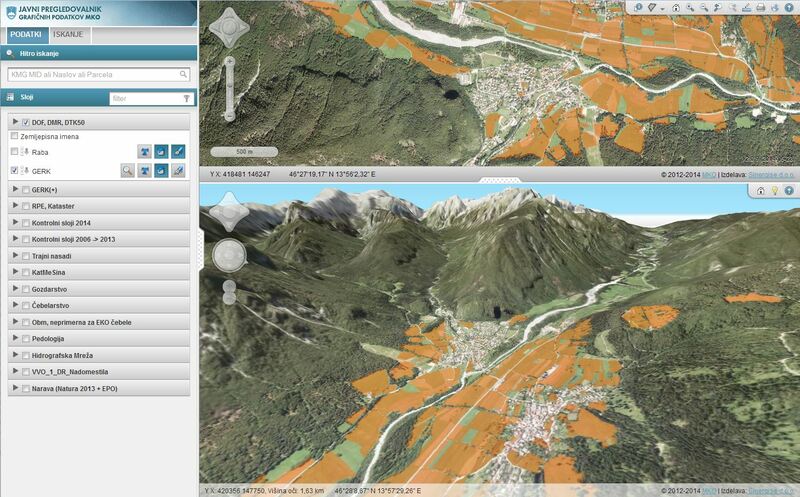 The 3D view can optionally be augmented with various data layers, including but not limited to cadastral information such as regions, streets and names which are projected onto the 3D terrain. 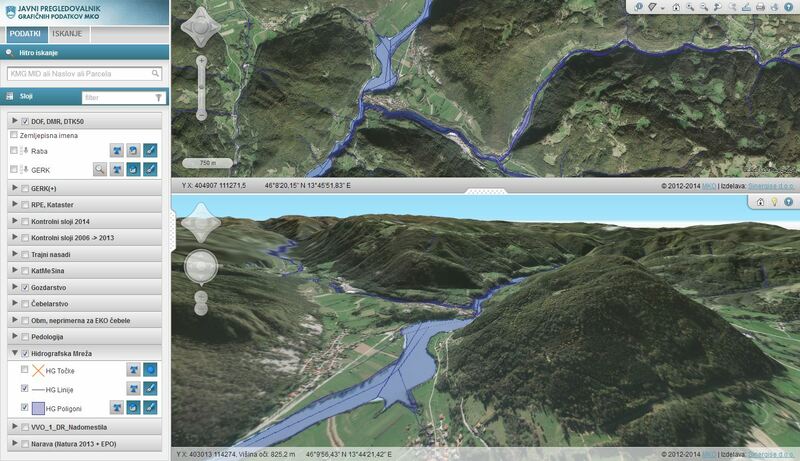 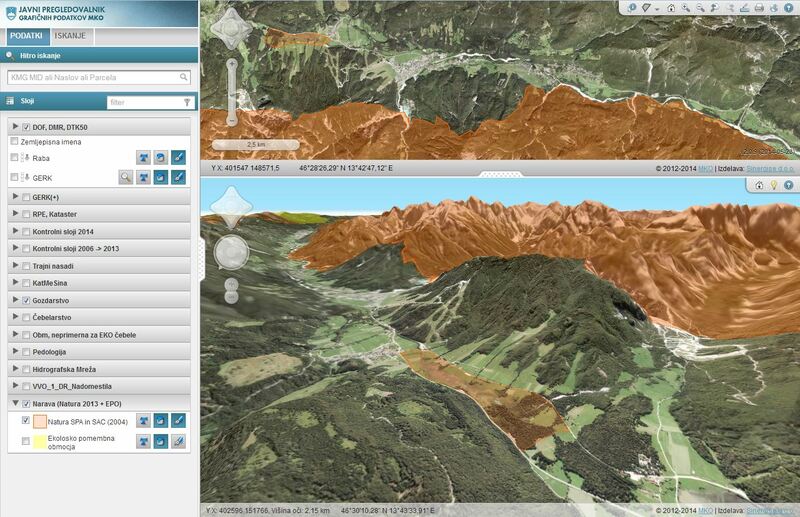 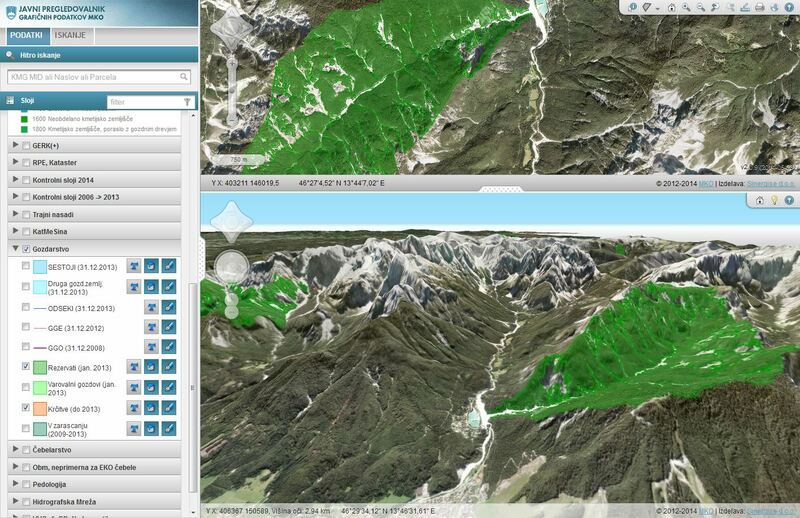 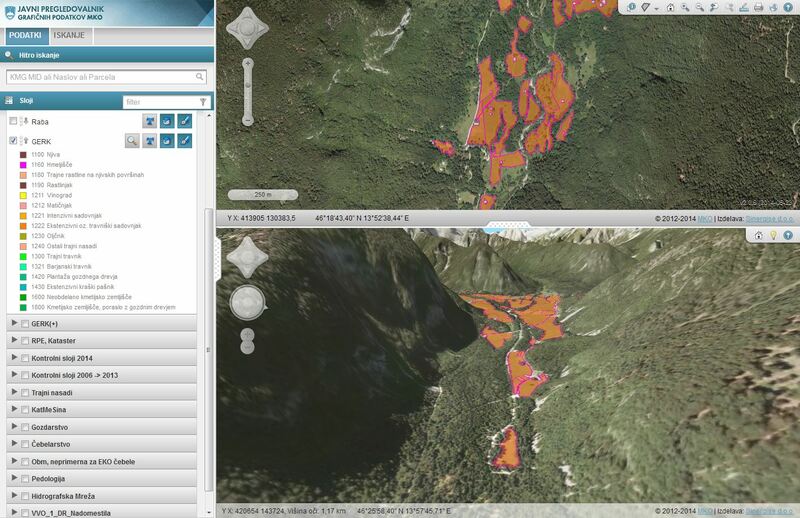 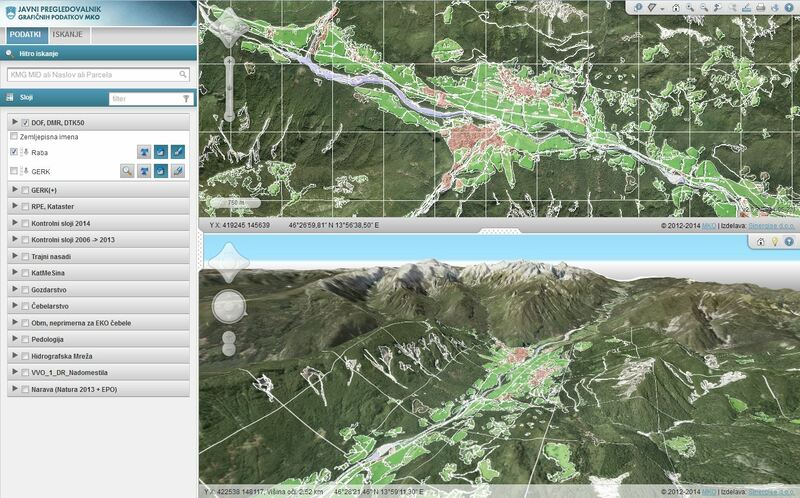 3D view helps identify areas and boundaries that are not clearly visible in the 2D orthophoto images.